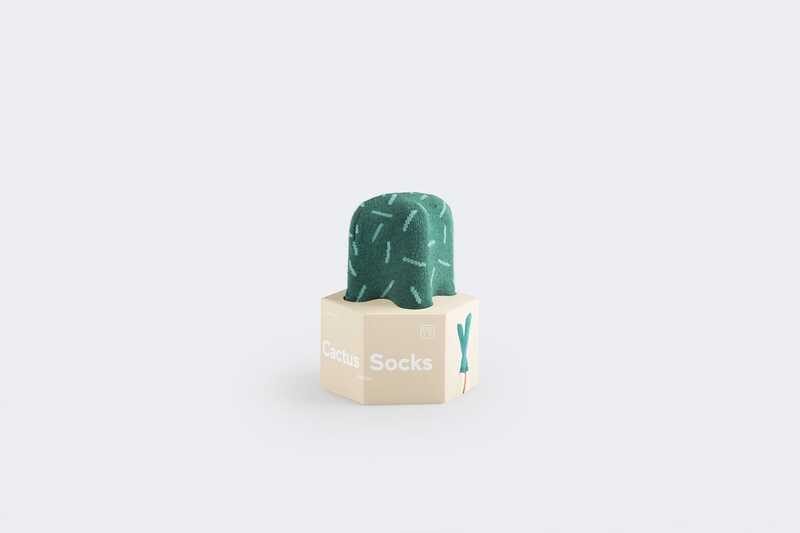 Trendy pair of socks by DOIY shaped as an Astros cactus. Green socks with a turquoise line pattern. Packaged in a quirky cactus shape and paper pot.